The United Nations Charter contains a Declaration Concerning Non-Self-Governing Territories. In Chapter XI, of said charter, the "Declaration Regarding Non-Self-Governing Territories", specifically the Article 73 point "e" in the Charter, it states that all member States agree to report to the United Nations, annually, on the development of non-self-governing territories under their control. The initial List of Non-Self-Governing Territories was created by compiling lists of dependent territories submitted by the administering States themselves. In several instances, administering States were later allowed to remove dependent territories from the list, either unilaterally (as in the case of many French overseas departments and territories), or by vote of the General Assembly (as in the cases of Puerto Rico, Greenland, the Netherlands Antilles, and Suriname). Map of territories on the United Nations list of Non-Self-Governing Territories. The list draws its origins from the period of colonialism and the Charter's concept of non-self-governing territories. As an increasing number of formerly colonized countries became UN members, the General Assembly increasingly asserted its authority to place additional territories on the List and repeatedly declared that only the General Assembly had the authority to authorize a territory's being removed from the list upon attainment of any status other than full independence. For example, when Portugal joined the United Nations it contended that it controlled no non-self-governing territories, claiming that areas such as Angola and Mozambique were an integral part of the Portuguese state, but the General Assembly rejected this position. Similarly, Western Sahara was added in 1963 when it was a Spanish colony. The same can be said about the situation of Namibia (removed upon its independence in 1990), which was seen, due to its former status as a League of Nations mandate territory, as a vestige of German colonial legacy in Africa. A set of criteria for determining whether a territory is to be considered "non-self-governing" was established in General Assembly Resolution 1541 (XV) of 1960. Also in 1960, the General Assembly adopted Resolution 1514 (XV), promulgating the "Declaration on the Granting of Independence to Colonial Countries and Peoples", which declared that all remaining non-self-governing territories and trust territories were entitled to self-determination and independence. The following year, the General Assembly established the Special Committee on the Situation with Regard to the Implementation of the Declaration on the Granting of Independence to Colonial Countries and Peoples (sometimes referred to as the Special Committee on Decolonization, or the "Committee of 24" because for much of its history the committee was composed of 24 members), which reviews the situation in non-self-governing territories each year and reports to the General Assembly. United Nations General Assembly Resolution 64(I) regarding the Establishment of the Trusteeship Council. United Nations General Assembly Resolution 66(I) regarding Transmission of information under Article 73 e of the Charter. United Nations General Assembly Resolution 142(II) regarding Standard form for the guidance of Members in the preparation of information to be transmitted under Article 73 e of the Charter. United Nations General Assembly Resolution 143(II) regarding Supplemental documents relating to information transmitted under Article 73 e of the Charter. United Nations General Assembly Resolution 144(II) regarding Voluntary transmission of information regarding the development of self-governing institutions in the Non-Self-Governing Territories. United Nations General Assembly Resolution 145(II) regarding Collaboration of the specialized agencies in regard to Article 73 e of the Charter. United Nations General Assembly Resolution 146(II) regarding Creation of a special committee on information transmitted under Article 73 e of the Charter. United Nations General Assembly Resolution 1514 (XV) Declaration on the granting of independence to colonial countries and peoples. United Nations General Assembly Resolution 1541 (XV) regarding Principles which should guide members in determining whether or an obligation exists to transmit the information called for under Article 73e of the Charter. United Nations General Assembly Resolution 1654 (XVI) regarding The situation with regard to the implementation of the Declaration on the granting of independence to colonial countries and peoples. United Nations General Assembly Resolution A/RES/43/45 regarding Implementation of the Declaration on the Granting of Independence to Colonial Countries and Peoples. United Nations General Assembly Resolution A/RES/43/46 regarding Dissemination of information on decolonization. United Nations General Assembly Resolution A/RES/43/47 regarding International Decade for the Eradication of Colonialism. United Nations General Assembly Resolution 55/145 regarding Dissemination of information on decolonization. United Nations General Assembly Resolution 55/146 regarding 2nd International Decade for the Eradication of Colonialism. United Nations General Assembly Resolution 55/147 regarding Implementation of the Declaration on the Granting of Independence to Colonial Countries and Peoples. United Nations General Assembly Resolution 65/116 regarding Dissemination of information on decolonization. 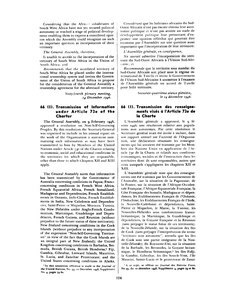 United Nations General Assembly Resolution 65/117 regarding Implementation of the Declaration on the Granting of Independence to Colonial Countries and Peoples. United Nations General Assembly Resolution 65/118 regarding Fiftieth anniversary of the Declaration on the Granting of Independence to Colonial Countries and Peoples. United Nations General Assembly Resolution 65/119 regarding 3rd International Decade for the Eradication of Colonialism. One reason for controversy is that the list includes some dependencies that have democratically chosen to maintain their current status, or have had referenda in which an insufficient percentage of the population vote for a change of status, or in some cases (such as United States Virgin Islands) simply had an insufficient number of voters participate. Gibraltar is a prime example of resident desires to remain with the status quo. Gibraltar, a largely self-governing British territory on the tip of the Iberian Peninsula whose territory is claimed by Spain, has twice held a referendum to resolve its status. In the first referendum, held in 1967, the choices in the ballot were either to retain their current status or to become part of Spain. The status quo was favoured by 12,138 votes to 44. In the second referendum, held in 2002, a proposal for a joint British–Spanish administration of the territory was proposed, and was voted down by 17,900 votes to 187 – the "no" vote accounting for more than 85% of Gibraltar's entire voting population. Neither of the referenda, however, gained recognition from the UN, with the 1967 referendum being declared to be in contravention of previous UN resolutions. The Spanish government does not recognize any right to self-determination to the current Gibraltar inhabitants, on the grounds that they are not the original population of the territory, but residents transferred by the colonial power, the United Kingdom. The territory of Tokelau divides political opinion in New Zealand. In response to attempts at decolonizing Tokelau, New Zealand journalist Michael Field wrote in 2004: "The UN ... is anxious to rid the world of the last remaining vestiges of colonialism by the end of the decade. It has a list of 16 territories around the world, virtually none of which wants to be independent to any degree." Field further notes that Patuki Isaako, who was head of Tokelau's government at the time of a UN seminar on decolonization in 2004, informed the United Nations that his country had no wish to be decolonized, and that Tokelauans had opposed the idea of decolonization ever since the first visit by UN officials in 1976. In 2006, a UN-supervised referendum on decolonization was held in Tokelau, where 60.07% of voters supported the offer of self-government. However, the terms of the referendum required a two-thirds majority to vote in favor of self-government. A second referendum was held in 2007, in which 64.40% of Tokelauans supported self-government, falling short of the two-thirds majority by 16 votes. This led New Zealand politician and former diplomat John Hayes, on behalf of the National Party, to state that "Tokelau did the right thing to resist pressure from [the New Zealand government] and the United Nations to pursue self-government". In May 2008, the United Nations' Secretary General Ban Ki-moon urged colonial powers "to complete the decolonization process in every one of the remaining 16 Non-Self-Governing Territories". This led the New Zealand Herald to comment that the United Nations was "apparently frustrated by two failed attempts to get Tokelau to vote for independence from New Zealand". In March 2013, the autonomous government of the Falkland Islands organised a referendum as to whether the territory should remain a British Overseas Territory. With a 92% turnout, 99.8% of Falkland Islanders voted to maintain that status; only three islanders favoured changing it. A lack of population and landmass is an issue for at least one territory included on the list: the British overseas territory Pitcairn Islands. With a population of 49 and a total area of 47 km2 (18.1 sq mi), it is too small to be realistically viable as an independent state. Four other territories—Tokelau, Montserrat, the Falkland Islands and Saint Helena—are less populous than any UN member state presently. In addition, some territories are financially dependent on their administering state. Another criticism is that a number of the listed territories, such as Bermuda (see Politics of Bermuda), Falkland Islands and Gibraltar, consider themselves completely autonomous and self-governing, with the "administering power" retaining limited oversight over matters such as defence and diplomacy. In past years, there were ongoing disputes between some administering powers and the Decolonization Committee over whether territories such as pre-independence Brunei and the West Indies Associated States should still be considered "non-self-governing", particularly in instances where the administering country was prepared to grant full independence whenever the territory requested it. These disputes became moot as those territories eventually received full independence. Territories that have achieved a status described by the administering countries as internally self-governing – such as Puerto Rico, the Netherlands Antilles, and the Cook Islands – have been removed from the list by vote of the General Assembly, often under pressure of the administering countries. In 1972, for example, Hong Kong (then administered by the United Kingdom) and Macau (then administered by Portugal) were removed from the list at the request of the People's Republic of China, which had just been recognized as holding China's seat at the United Nations. Some territories that have been annexed and incorporated into the legal framework of the controlling state (such as the overseas departments of France) are considered by the UN to have been decolonized, since they then no longer constitute "non-self-governing" entities; their populations are assumed to have agreed to merge with the former parent state. However, in 1961, the General Assembly voted to end this treatment for the "overseas provinces" of Portugal such as Angola and Mozambique, which were active foci of United Nations attention until they attained independence in the mid-1970s. On 2 December 1986, New Caledonia, an overseas territory of France, was reinstated on the list of non-self-governing territories, an action to which France objected. Within France it has had the status of a collectivité sui generis, or a one-of-a-kind community, since 1999. Under the 1998 Nouméa Accord, its Territorial Congress has the right to call for a referendum on independence between 2014 and 2018. This referendum was held on 4th November 2018, with independence being rejected. French Polynesia was also reinstated on the list on 17 May 2013, in somewhat contentious circumstances. Having been re-elected President of French Polynesia in 2011 (the territory being largely self-governing), Oscar Temaru asked for it to be re-inscribed on the list; it had been removed in 1947. (French Polynesia is categorised by France as an overseas country, in recognition of its self-governing status.) On 5 May 2013, Temaru's Union for Democracy party lost the legislative election to Gaston Flosse's pro-autonomy but anti-independence Tahoera'a Huiraatira party. At this stage, the United Nations General Assembly was due to discuss French Polynesia's re-inscription on the list twelve days later, in accordance with a motion tabled by the Solomon Islands, Tuvalu and Nauru. On 16 May, the Assembly of French Polynesia, with its new anti-independence majority, adopted a motion asking the United Nations not to restore the country to the list. On 17 May, despite French Polynesia's opposition, and France's, the country was restored to the list of Non-Self-Governing Territories. Temaru was present for the vote, on the final day of his mandate as President. The United Nations affirmed "the inalienable right of the people of French Polynesia to self-determination and independence". Also controversial are the criteria set down in 1960 to 1961 by the United Nations General Assembly Resolution 1514 (XV), United Nations General Assembly Resolution 1541 (XV), Principle 12 of the Annex, and United Nations General Assembly Resolution 1654 (XVI) which only focused on colonies of the Western world, namely Australia, Belgium, Denmark, France, Italy, Netherlands, New Zealand, Portugal, South Africa, Spain, the United Kingdom, and the United States. This list of administering states was not expanded afterwards. The following territories are currently included on the list. ^ Formerly the Spanish Sahara up to 1976, disputed between Morocco, who controls 80% of the territory and administers it as an integral part of its national territory, and the Sahrawi Arab Democratic Republic, who controls and administers the remaining 20% as the "Liberated territories". The United Nations Mission for the Referendum in Western Sahara is the United Nations peacekeeping mission to the territory. The following territories were originally listed by UN General Assembly Resolution 66 (I) of 14 December 1946 as Trust and Non-Self-Governing territory. The dates show the year of independence or other change in a territory's status which led to their removal from the list, after which information was no longer submitted to the United Nations. Netherlands Antilles Granted more autonomy Aruba, Curaçao and Sint Maarten are constituent countries of the Kingdom of the Netherlands, the other remaining islands are special municipalities of the Netherlands. ^ The United Nations General Assembly voted to reinstate French Polynesia (former French Establishments in Oceania) to the list by General Assembly Resolution A/67/265 on 18 May 2013. North Borneo Incorporated into Malaya to form Malaysia Malaysian state of Sabah and the federal territory of Labuan. Malaysia 4,608,167 693 268 1965 Regained independence in 1965. ^ "The Declaration on the Granting of Independence to Colonial Countries and Peoples". United Nations Treaty Collection. Retrieved 18 October 2011. ^ i.e. extenuating circumstance, historical control, longstanding/stagnated issue, etc. ^ "UN Treaty Collection: International Covenant on Economic, Social and Cultural Rights". Archived from the original on 22 February 2014. Retrieved 18 February 2014. ^ "Q&A: Gibraltar's referendum". BBC News. 8 November 2002. Retrieved 25 November 2011. ^ "Resolution 2353" (PDF). UN. 19 December 1967. Archived from the original (PDF) on 18 August 2013. Retrieved 28 September 2012. ^ "Tokelau decolonisation high on agenda". The New Zealand Herald. NZPA. 17 May 2008. Retrieved 25 November 2011. ^ "New Year begins with a new Constitution for the Falklands". MercoPress. 1 January 2009. Retrieved 9 July 2013. ^ "Gibraltar". Encyclopædia Britannica. Retrieved 18 August 2009. Gibraltar is an overseas territory of the United Kingdom and is self-governing in all matters but defence. ^ a b c Carroll, John M. (2007). A Concise History of Hong Kong. Rowman & Littlefield Publishers, Inc. p. 176. ^ CIA's The World Factbook entry for Western Sahara: "Western Sahara is a disputed territory on the northwest coast of Africa bordered by Morocco, Mauritania, and Algeria. After Spain withdrew from its former colony of Spanish Sahara in 1976, Morocco annexed the northern two-thirds of Western Sahara and claimed the rest of the territory in 1979, following Mauritania's withdrawal"
^ Infobox image in "History" section of "About Greenland", English version of the official country government website. Accessed online 2008-09-28, Sunday. ^ a b c d Trust and Non-Self-Governing Territories (1945–1999) listed by General Assembly of the United Nations.